The Raptors must feel good to be back home. After a grueling five-game road trip on the west coast, the Raptors finally returned back home to the ACC on Monday night. 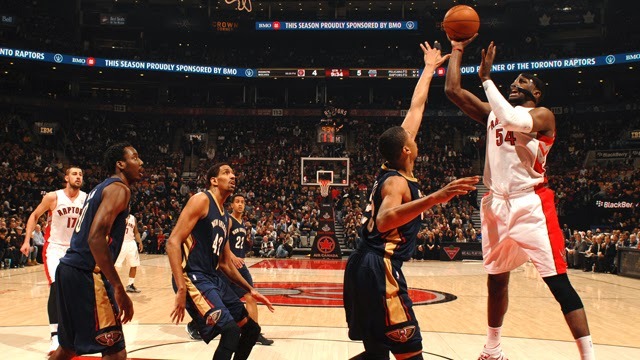 Toronto began a stretch of games at the ACC, starting on Monday evening against the New Orleans Pelicans. It was a Jekyll and Hyde night for the Raptors, where the team watched large leads disappear throughout the night. Toronto managed to hold on, and finished with a 108-101 win over Anthony Davis and the New Orleans Pelicans. Toronto is now 27-24 on the season and have just one more game before the All-Star break. 22 Patrick Patterson got the starting nod over Amir Johnson and put up a career-high 22 points (7-11), 5-6 FT, 6 rebounds and two assists. Amir Johnson sat out Monday due to a troublesome ankle injury. 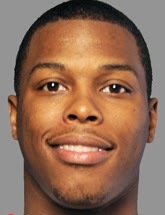 19/12/7 Kyle Lowry was on triple double watch against the Pelicans and played spectacular for Toronto on Monday. Lowry scored 19 points on 8-13 shooting, dished out 12 assists and grabbed 7 boards. He has been Mr. Consistency for Toronto and had some key buckets and assists down the stretch. 31-20 It was definitely a tale of four different quarters. Toronto opened with an impressive 31-20 first quarter, only to flip flop quarters with the Pelicans. Toronto blew their fifteen point lead in the second quarter as the Pelicans made a run to tie the game up at 49 at the half. 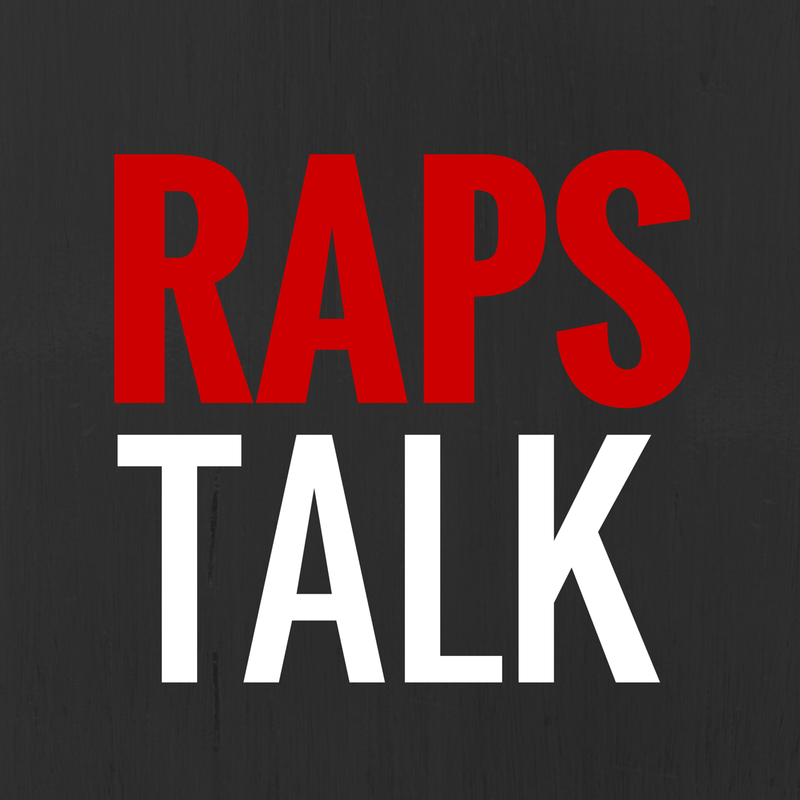 8-2 The Raps are 8-2 at home since the new year. 19 The schedule looks favourable from here on out, with 19 of the Raptors last 31 games at home. Eight of their next ten games are also at home. 23 The Pelicans' Tyreke Evans outscored the Raptors bench 23-22 on his own. Evans had a stellar game off of the New Orleans bench, finishing with 23 points (10-14), 10 assists, 5 rebounds and 3 steals. 7-21 DeRozan had a forgettable shooting night, just going 7-21 from the field and 1-5 from three. 16-5 Even when New Orleans was down big, they were never out of it. The Pelicans who were down as much as 18 points in the third, made a 16-5 run to get themselves within one point in the fourth. 1 One more game for Toronto until the All-Star break. On Wednesday, they play their Eastern Conference rivals, the Atlanta Hawks, who sit just one game behind the Raptors in the East. 0 The Global Ambassador was NOT in the building tonight. Pound The Rock Star of the Game: Kyle Lowry - 38 minutes, 19 points (8-13), 12 assists, 7 rebounds, 2 steals and just 2 turnovers.